The Camp Kawanhee kitchen provides filling, varied and nutritious meals over the course of the camp season. A thirty-item salad bar compliments both lunch and dinner and hot soups are often offered as well. Breakfast offerings include a wide range of cereals, oatmeals, bagels and a hot main entrée. 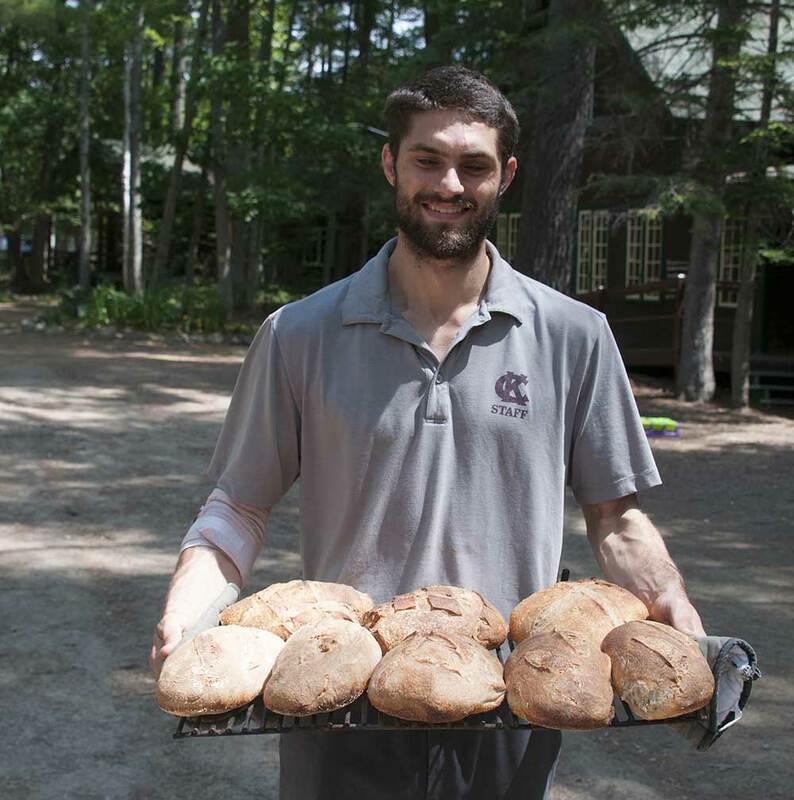 We now offer evening snacks and have cut back on the fried foods in order to provide more balanced options for campers and staff. 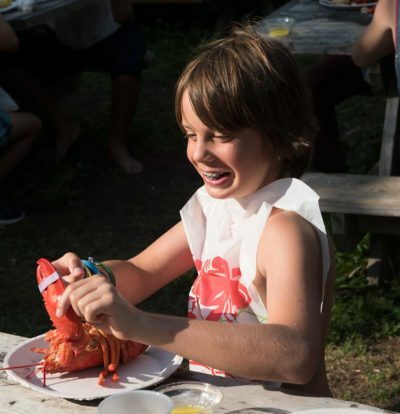 The addition of smoothies at breakfast proved to be a big hit this year and everyone looks forward to the Maine lobster bake at the end of the 4th week, along with chowder made with fish caught on Monhegan Island! Sean Minear and his experienced kitchen staff look forward to another exciting camp season this summer. Conveniently located near the sleeping lodges are the dining hall, rec hall, nature building, campcraft/wilderness living headquarters, rifle and archery ranges, ropes course and climbing wall, camp infirmary, shop, sailing shed and boat houses, and the “fort”, the name we affectionately give to our toilet and shower facility. Most of Kawanhee’s buildings are original, dating back to the 1920’s and 1930’s and many are made of heavy log construction. They are rustic but comfortable, nestled among pines along the shore of the lake. 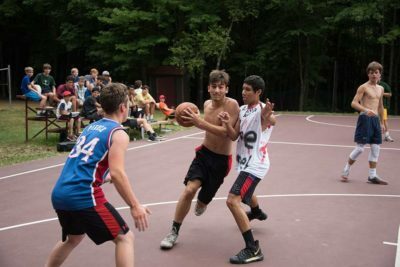 The lodges accommodate from eight to ten boys, along with two counselors.